When it was announced this spring that three of Minnesota’s state parks would begin offering yurt rentals, locals went nuts. These circular, canvas-sided abodes once served as portable homes for nomads in Asia, but today are popping up all over the country. From the mountaintops of ski resorts out west to the grounds of Coachella music festival, everyone seems to be interested in yurt living. A cross between a tent and a cabin, it’s an entirely fresh way to experience the outdoors all year round. 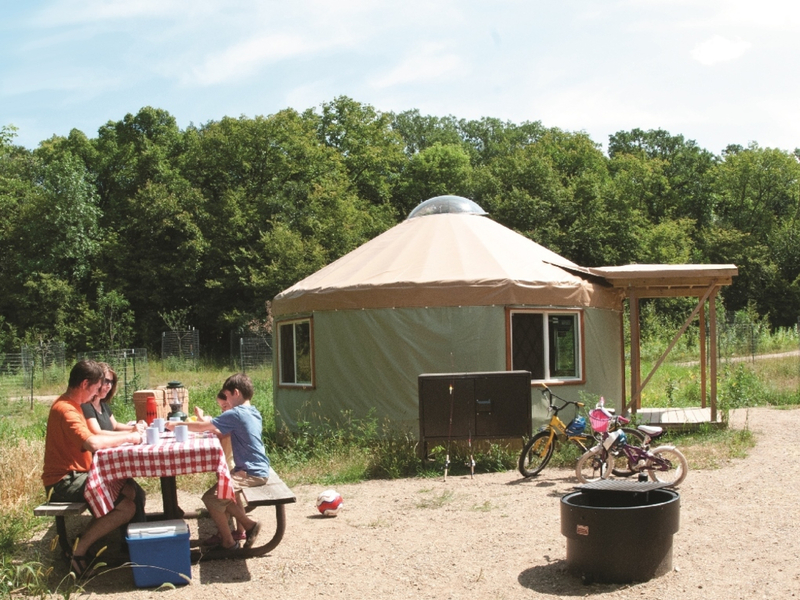 Most yurts in Minnesota are embedded within parks, wooded resorts, and wilderness areas and offer heating, beds, furniture, and even a small kitchen. 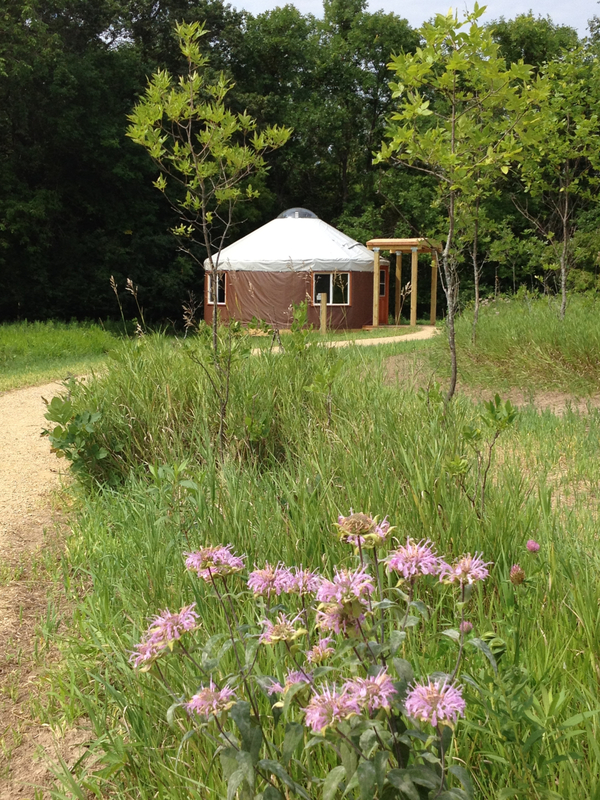 We rounded up some of the various options in Minnesota, from the new yurt rentals at the state parks, to a local company that builds and sells yurts, to classes on how to build your own yurt. 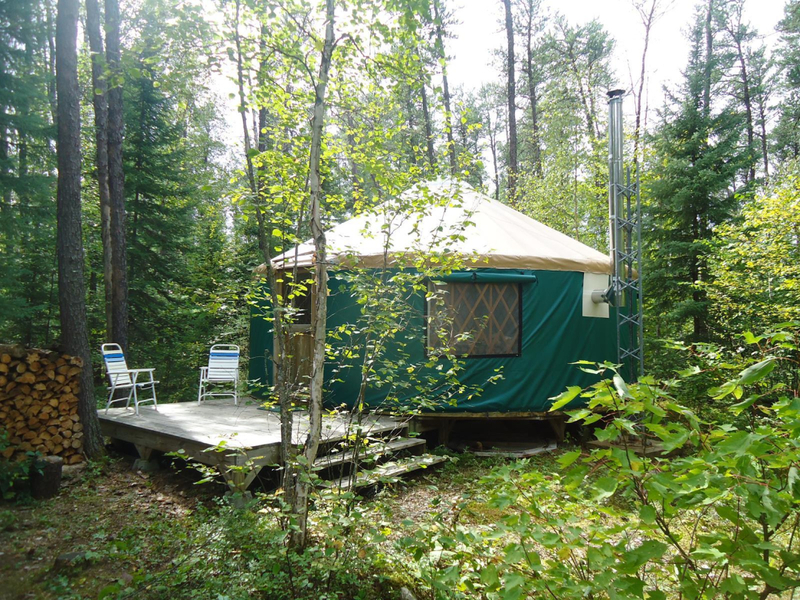 The yurts recently installed at three Minnesota state parks are insulated with wood floors and woodstoves. This means you can stay in them all year round. Ranging from 16 to 20 feet in diameter, with bunk beds and a table and chairs, they sleep 3 to 7 people. Glendalough State Park , three hours northwest of Minneapolis, has two yurts that sit along Annie Battle Lake. Affixed between prairie and hardwood forest, this vast and varied terrain can be explored on foot, by boat, or by bike. Afton State Park , about 45 minutes southeast of the Twin Cities, has two yurts in the woods near their camper cabins. This is a great park to hike, trail run, and mountain bike. Cuyuna Country State Recreation Area in Ironton, Minnesota, has three yurts that are situated near the shores of Yawkey Mine Lake. For anyone who likes to fish, this park touts 25 miles of natural shoreline with plenty of trout, northern, bass, crappie, and sunfish to be had. It is also known as one of the best places in the state for mountain biking . This serene vacation resort in northern Minnesota near Ely is right on the edge of the Boundary Waters Canoe Area (BWCA). 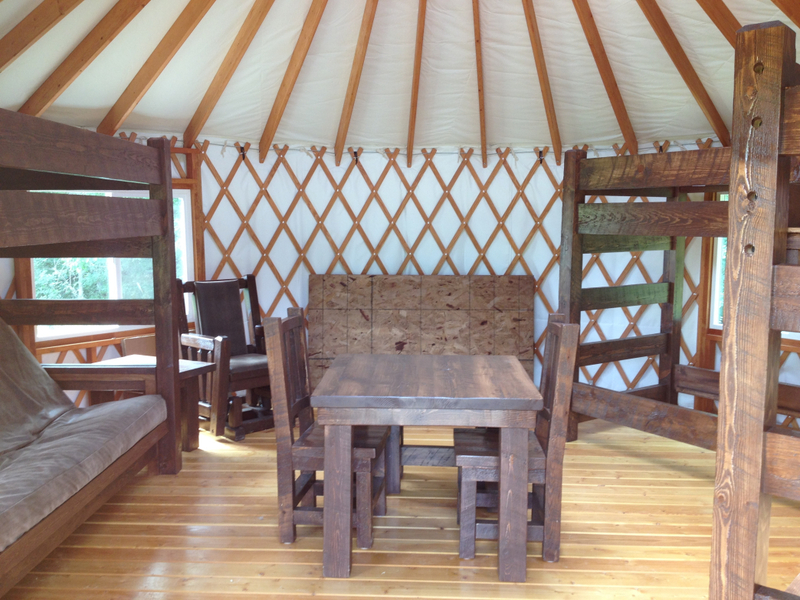 In addition to knotty pine cabins, it also has a remote wilderness yurt that can be rented. The 24-foot wide yurt has pinewood floors, propane lights, a stove, refrigerator, beds, dining room table and chairs, and a wood stove for year-round use. There is plenty of hiking in the immediate area and a half-day canoe trip will put you right into the BWCA. 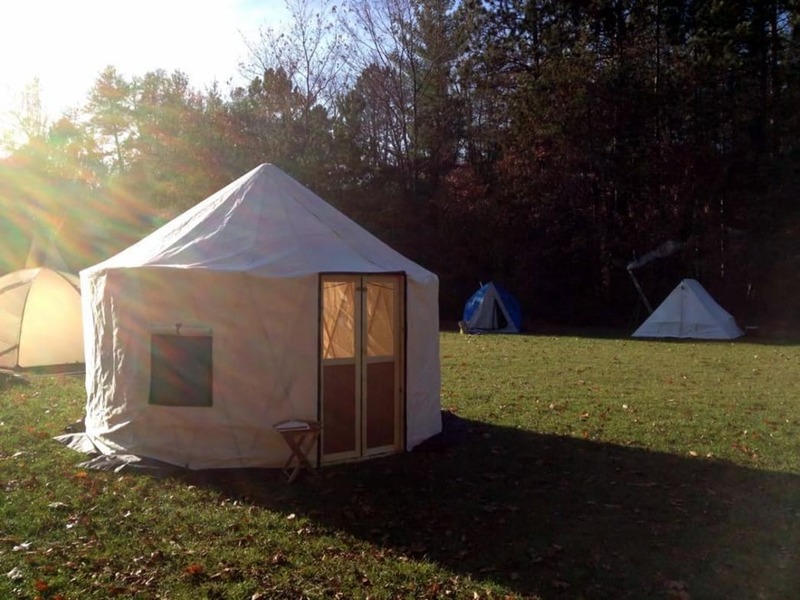 For a yurt stay a little closer to home, consider renting Camp Tanadoona’s yurt for a night or two. Located in Excelsior on the edge of Lake Minnewashta Regional Park, this is a great way to get out in nature right in the metropolitan area. This yurt sleeps up to 10 people and includes a small outdoor activity space and a charcoal grill. 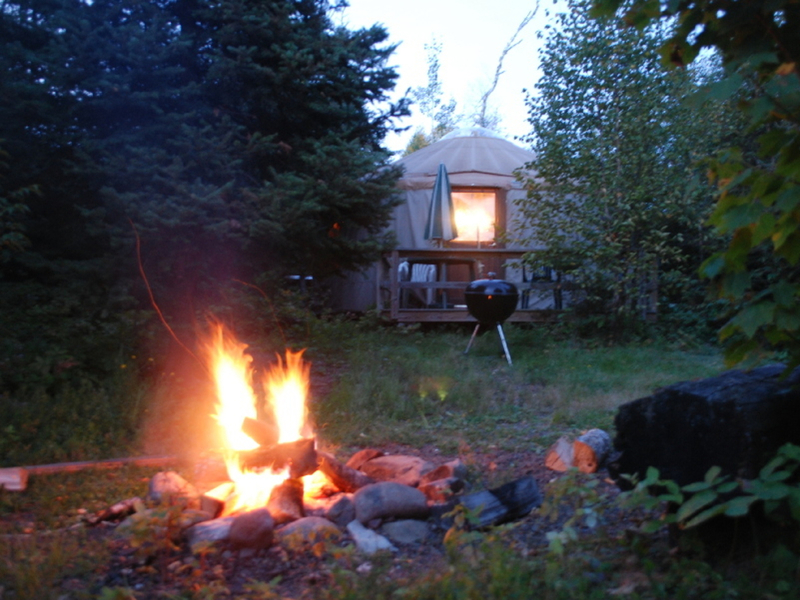 About 10 miles west of Ely, Wilderness Wind offers a 30-foot, two-bedroom yurt for rental. It also has two couches, each with a hide-a-bed, so the entire hut can sleep up to 10 people. When you rent this yurt, you also have access to a rowboat and canoe to explore the surrounding lakes and wilderness. Boundary Country Trekking’s Tall Pines Yurt is located at the Banadad Trails’ eastern trailhead, which in the winter, is the BWCA’s longest groomed ski trail. Open for rental all year, this 20-foot yurt with bunk beds and a futon can sleep up to four people. It also has a wood stove, overhead gas lighting, and a camp kitchen. Outside sits a fire pit, grill, and a Finnish sauna nearby. About 12 miles down the trail are two more structures, dubbed the Croft Yurt and the Olga Hut. In the winter you can even sign up for yurt-to-yurt skiing . 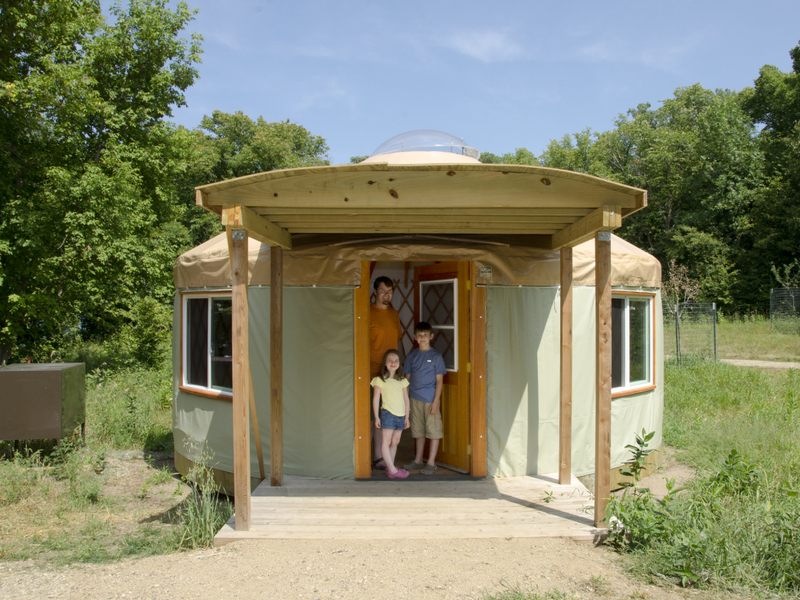 If you’re interested in owning an easily portable yurt, Life in the Round based in Duluth has just what you’re looking for. The small “Insta-10 Micro Yurt” is about 10-feet in diameter and 8-feet tall in the center. The Aspen-framed structure has French doors and canvas sidewalls, as well as a high temperature coated Kevlar stove jack with cover flap. 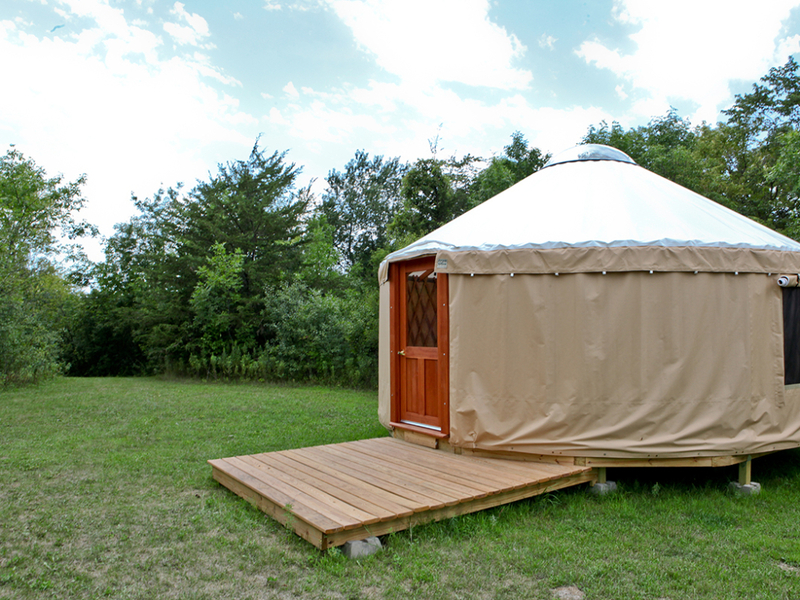 While this is smaller than most of the yurts you can rent, it weighs just 85 pounds and can be set up and taken down in 15 minutes or less. For a more substantial structure that is semi-permanent, look outside the state to companies like Pacific Yurts or the Colorado Yurt Company . 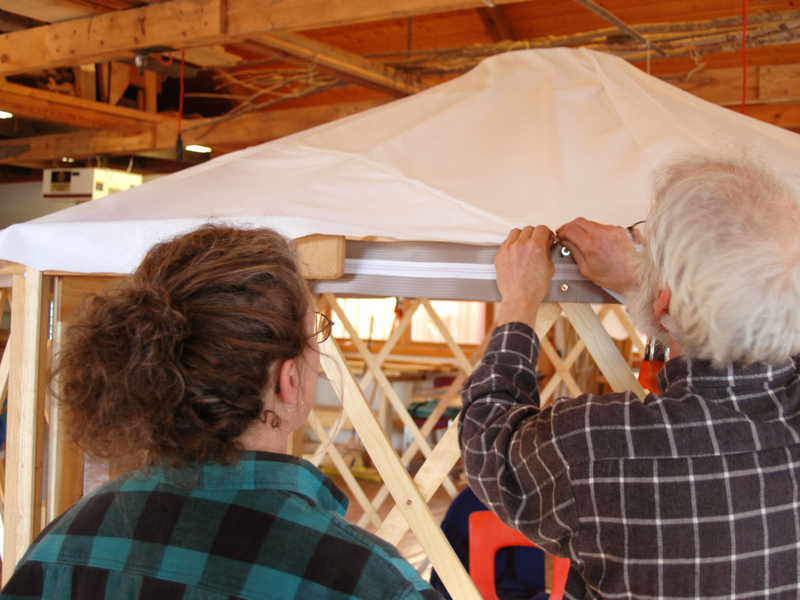 For those who want the full experience, you can sign up for a four-day course at North House Folk School in Grand Marais to actually learn how to build your own yurt. 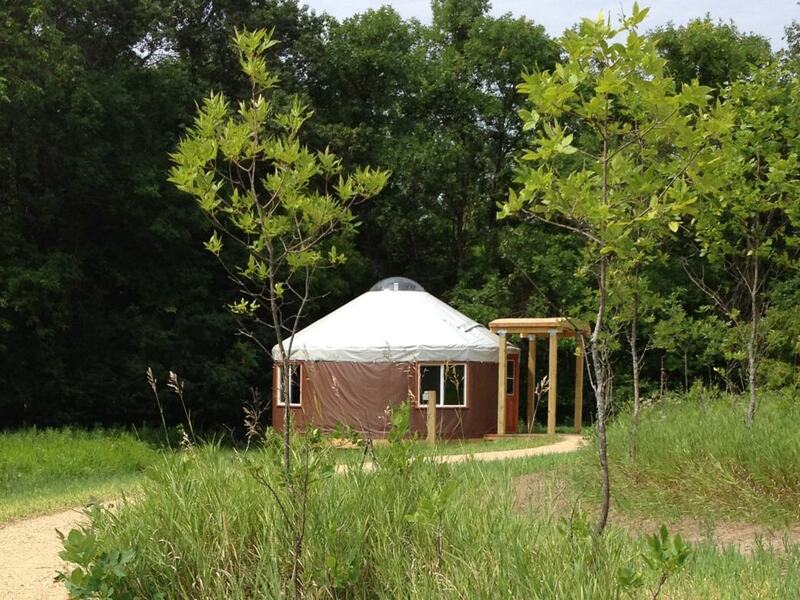 The finished product is an 18-foot yurt that can be used in all four seasons. 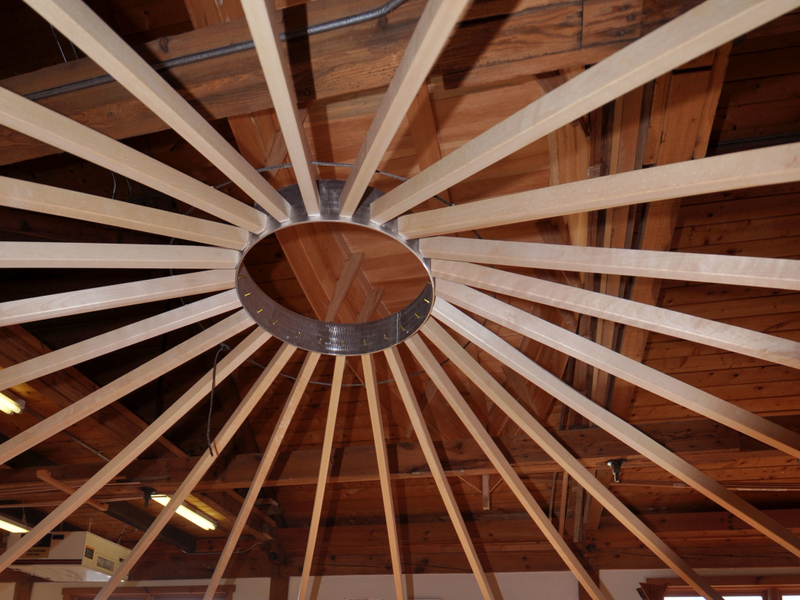 The skilled yurt builders of North House will assist you in constructing the wooden frame, sewing the fabric cover, building the rafter ring, and putting together the windows and doors. 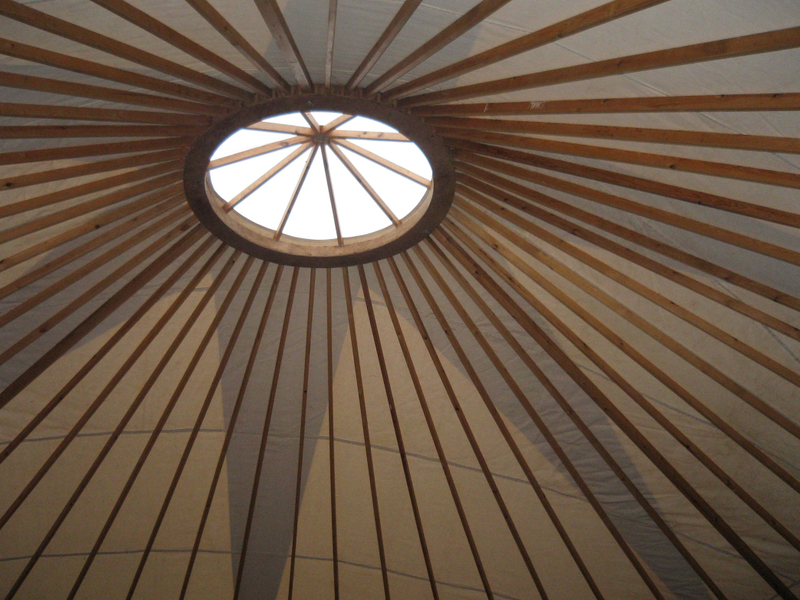 All materials are included with the price of tuition and the entire yurt can be loaded into your car at the end of the weekend course.